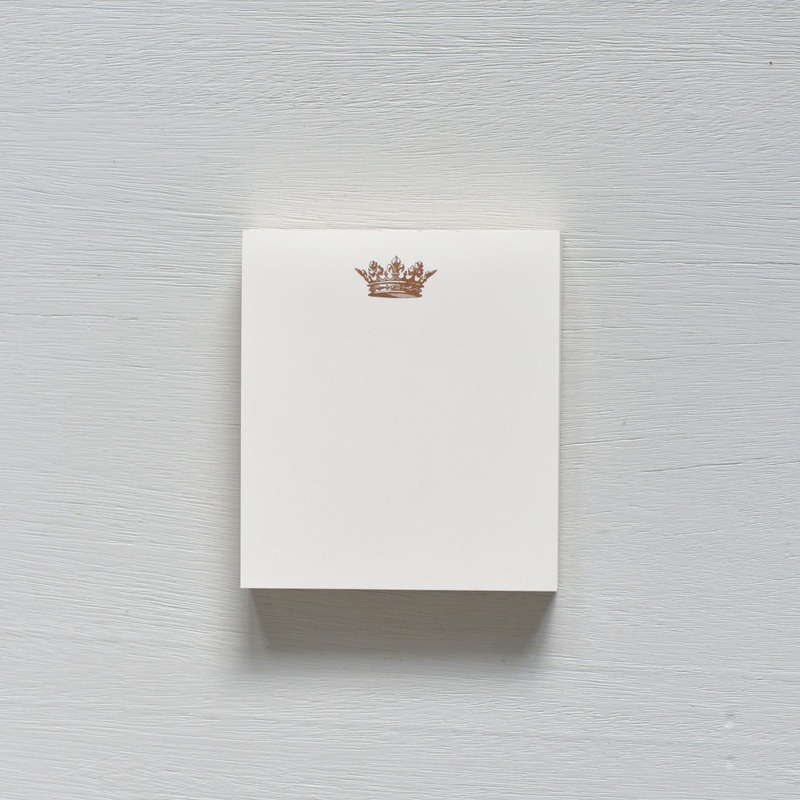 A tiny crown printed in the perfect matte gold ink sits atop this tiny 4″ square notepad. Perfect for debutante gifts, bridesmaids or groomsmen gifts, hostess gifts or just a pick me up. 100 sheets of cream paper.